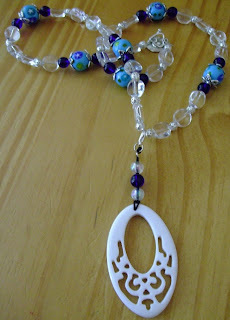 I've got to admit that I've become a little "Mommy Necklace Obsessed"! I absolutely love these beautiful necklaces that capture my baby's attention. 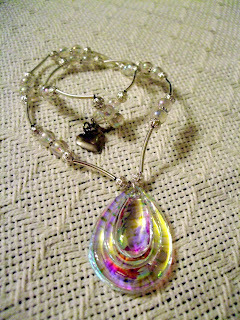 Courtenay from Beaded Fae sent me a gorgeous necklace that has become a favorite of mine. It arrived in the mail as I was heading out the door to a rehearsal dinner. I was wearing a beautiful sky blue dress and when I opened the mail in the car and saw the nursing necklace it matched my dress perfectly! I got SO many compliments on the necklace and it kept baby entertained during a long evening of festivities. And one lucky reader is going to win their own fabulous Mommy Necklace; beautiful black beads with pops of color. The design is perfect for little hands to grasp and finger to distract those sweet pudgy hands from scratching and pinching your neck! Win the beautiful nursing necklace pictured immediately above from Beaded Fae! Visit Beaded Fae, browse around and then come back here to leave me a comment about something else you like! (one comment only)! All opinions expressed herein are entirely my own; I was not compensated for them. Thank you Beaded Fae for this opportunity! one can never have too much positive energy. I love the Eyes of the dragon necklace. The colors are beautiful! I have a Girly Girl Giveaways button on my blog. 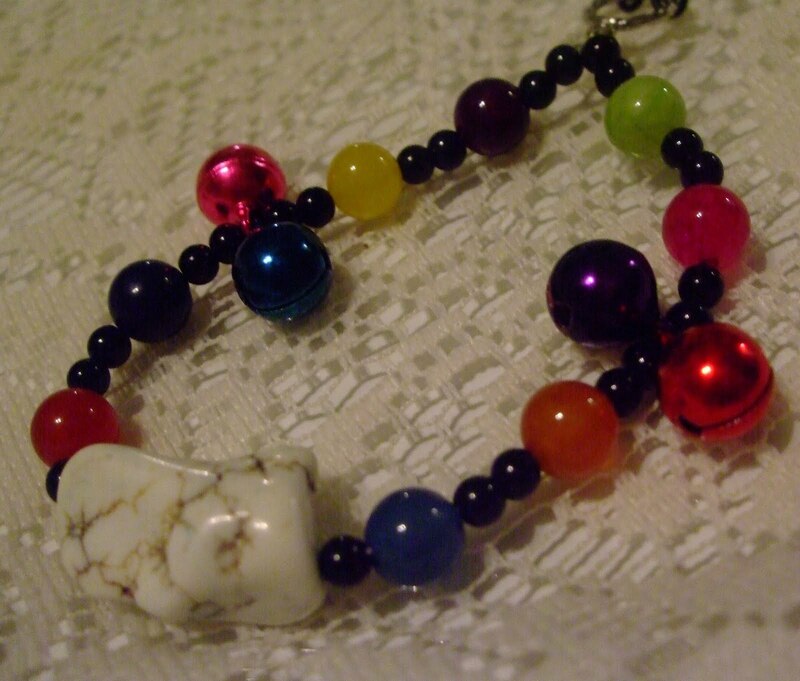 I love the Chakra Bracelet with Bead Caps. I like the Bring Me The Wine necklace. 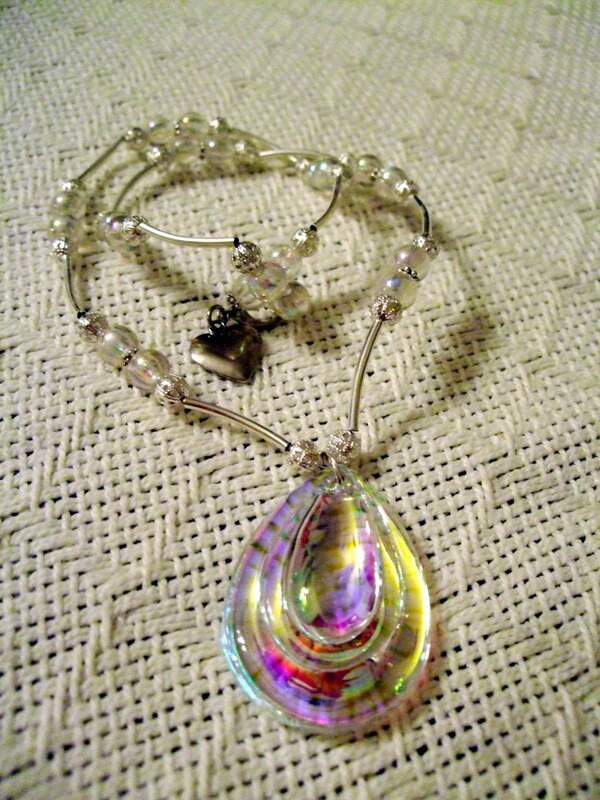 Love the chunky monkey bracelet - all those great colors means it goes with everything!